The talent acquisition landscape has evolved significantly. And there are a number of socio-demographic and technological disruptions that are restructuring the talent ecosystem. One significant change has been a renewed focus on the quality of the hire; even in industries where numbers for recruitment are high. According to a recent report, by the year 2020, 75% of the global workforce will be millennials with India leading the pack. In light of this change, the kind of talent acquisition strategies and techniques used, and the prevailing approach currently in place now will need to be reassessed. Companies will need to manage their recruitment systems more closely to meet the demands of a dynamic workforce. Such shift in the perception of talent has also been fuelled by the growth that the companies are experiencing today –whether it is in e-commerce, manufacturing or banking, everyone is adapting to new ways of reaching their respective talent pools. Since the composition of the workforce has changed, the modes of reaching out to the right talent are also undergoing revision. The war for talent is not about bringing down the competition to attract talent. The focus is more towards internal efficacy, where the reputation of the company is a bigger talent magnet when compared to the company’s’ tentative position with respect to its competition. As the guiding principle for talent acquisition moves away from the traditional ‘war for talent’, new approaches have opened up for HR leaders. One such development is the principle of treating employees as consumers. This shift has been fuelled by various reasons. Firstly, the early talent acquisition plans inadvertently put a lot of decision-making power in the hands of the recruiters. This led to a drop in the quality of interviews and the lack of a streamlined effort to get the right talent. But the same companies had a different approach when they served their customers, which yielded better results. 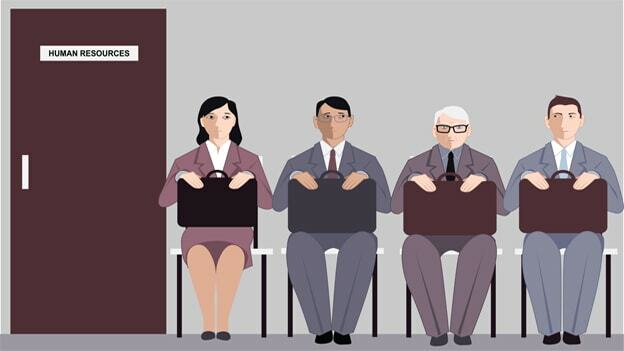 Companies have started seeing the benefits of treating their candidates fairly and in a systematic manner. Secondly, there have been significant changes in the talent environment. The talent pool today has multiple companies to choose from and is not rooted in the idea of working for a single company. Candidates are on the look out for companies which are known for their ethical and transparent practices. Identifying these trends and treating a candidate with humility and respect is a crucial factor for talent acquisition practices today. According to research by LinkedIn on global recruitment trends, this new outlook has led to increased importance of employer branding. If customers choose the products that they buy based on the customer brand, a prospective employee would choose the ideal employer based on the employer brand. Finally, the advances in data processing and predictive techniques like HCM which bring together important factors for assessment into one platform drive the change in recruitment processes. HCM as a technological solution has been an enabler for HR professionals to re-think their talent acquisition plans. For example, Apollo Hospitals employs over 40,000 people across India. Given the huge employee strength, an end-to-end HCM fusion implementation has helped hospitals push the quality of the talent that comes in. With a wide variety of candidates that are required to be employed in the sector, there is a need for a disciplined approach to hiring the best of doctors, nurses, and other important medical staff. And to bring in that discipline, there is a need for a centralized platform that provides dashboards, background verification facilities, and tools that can ensure seamless onboarding for selected candidates. Such an exhaustive assessment of the candidate can rarely be done during an interview. The only way to ensure this is done is by using a systemic, granular data system which is accurate and robust. The aim is to fix the credibility issue without getting personal. Thus, with the change in dynamics of the workforce coupled with the advancement in data analytical platforms, the recruitment systems within companies have to change significantly to ensure they are able to get the right talent in. Pramod Sadarjoshi is the Digital HCM Transformation & Leadership expert; International Keynote Speaker; Marshall Goldsmith Certified Stakeholder-centered Coach.